Soft, creamy white adorned with gold will make this clock stand out on a wall in your home. Mount it in an entrance way, a kitchen or study, it will being a rich, opulent look into the room. The design offers a simple face with raised gold markers indicating the hours and minutes. A set of matching gold hands complete the look. 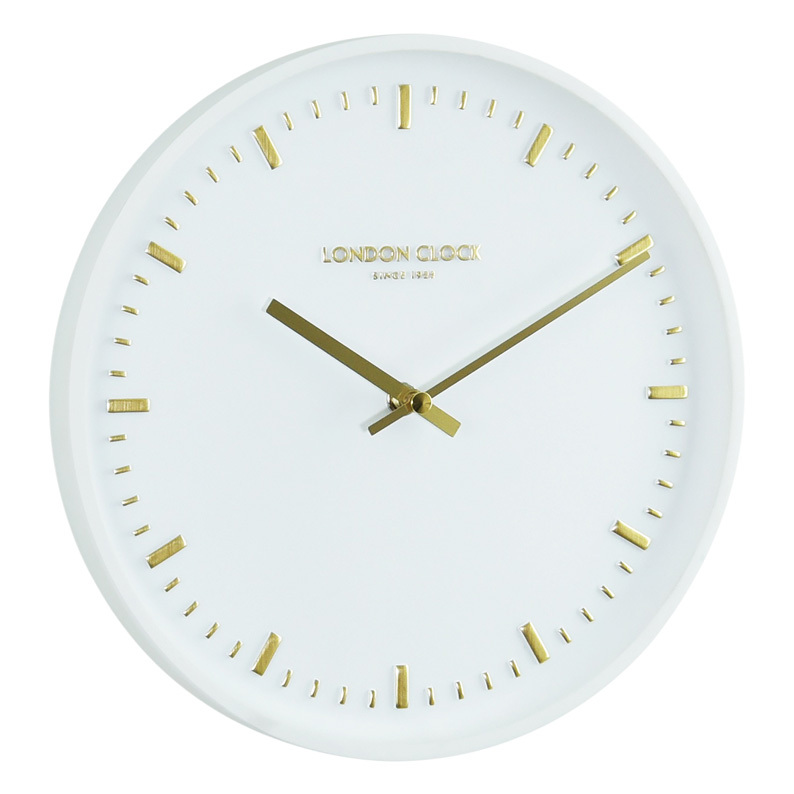 The clock is crafted from resin and has the classic 'London Clock' signature words on the dial. Size 25cm diameter, 4cm depth.